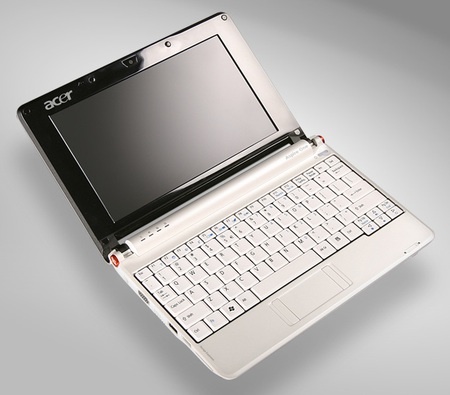 The Acer Aspire One is a small notebook computer (also known as a netbook). It is based on the Intel Atom platform consisting of an Intel Atom N270 processor, Intel 945GSE Express chipset and Intel 82801GBM (ICH7M) I/O controller. The Aspire One became available in July 2008. Initially in Seashell White and Sapphire Blue, with a 3-cell battery. Acer has since then introduced models with the larger 6-cell battery, as well as a wider selection of colors including Coral Pink, Golden Brown and Onyx Black. (House Financial Services Committee) – The version of the financial bailout proposal that was voted down in the House of Representatives today. Full Text. The Oct. 15 deadline for filing a return and claiming the economic stimulus payment is almost here. Don’t let your clients miss out. See news release IR-2008-109. Campus Mental Health: Know Your Rights! is designed to inform students who want to seek help for mental illness or emotional disorders about their legal rights under the Americans with Disabilities Act and other laws. The 27-page guide is also available online at www.mymindmyrights.org. It also includes information about where and how students can seek help, who can have access to information about their treatment; what kinds of academic accommodations they can request; what happens if they need hospital care; and what types of assistance and support are available for them. Attorney’s motion to be relieved as counsel denied. His desire to avoid advancing the costs of trial, specifically $20,000.00 in expert witness fees, was not sufficient grounds to be relieved since the retainer agreement did not require claimants to advance such costs. Recent events involving a political figure’s Yahoo account have put email hacking and the need for encryption front & center. Here are some possible protections. FireGPG – use GPG easily in Firefox ! FireGPG is a Firefox extension under MPL which brings an interface to encrypt, decrypt, sign or verify the signature of text in any web page using GnuPG. FireGPG adds some features to the Gmail1 interface, to let you use GPG’s features directly in your webmail. More webmails will probably be supported in the future. FireGPG is currently translated into Arabic, Bengali, Chinese, Dutch, English, French, Italian, German, Hebrew, Korean, Polish, Portuguese, Portuguese (Brazilian), Russian, Türkish, Serbian, Spanish and Swedish. ….the record reveals that the respondent afforded so little regard to his law license as to allow a disbarred felon to use his name freely on court papers and to advertise himself as his paralegal. In addition, the respondent knowingly made a misrepresentation to this Court during the course of oral argument. Under the circumstances, the respondent is disbarred.